A 2015 study by the Centers for Disease Control found that Clostridioides difficile (C. diff), a bacterium that causes inflammation, caused almost 500,000 infections among patients in the United States in a single year. C. diff is the most commonly diagnosed cause of antibiotic-associated diarrhea and has surpassed methicillin-resistant Staphylococcus aureus (MRSA) as the most common healthcare-associated infection in many U.S. hospitals. Healthcare costs attributed to C. diff infections can reach nearly $5 billion each year. This hardy type of bacteria is very difficult to treat. An estimated 15,000 deaths are directly attributable to C. diff infections, making it a substantial cause of infectious disease death, with most deaths occurring among people age 65 years or older. Commonly occurring in older hospitalized adults after the use of antibiotic medications, C. diff affects the normal flora of the gut. The use of nonsteroidal anti-inflammatory drugs (NSAIDs), which reduce fever, also promote C. diff infection. David Aronoff, a microbiologist and infectious diseases expert at Vanderbilt University in Nashville, and researchers from the University of Michigan and the University of Arizona conducted a study with mice that they infected with C. diff. They divided the mice into two groups and treated one group with an NSAID (indomethacin) before infection. At the end of the observation period, about 20 percent of the mice in the treatment group were still alive; about 80 percent of the group that did not receive the NSAID had also survived. Aronoff and his team determined that even brief exposure to the NSAID before C. diff inoculation increased the severity of infections and shortened survival. Further cellular and genetic analyses revealed that the NSAID exposure altered the gut microbiota and depleted the production of prostaglandins, which play an important role in gastrointestinal health. Those observations align with previous studies reporting that NSAIDs can cause or exacerbate inflammatory diseases such as colitis, also by inhibiting the body's production of prostaglandins. In this new study, the researchers concluded that NSAID-driven changes worsened C. diff infections by impairing epithelial cells and disturbing the normal immune response. Although the team studied the impact of only one NSAID, indomethacin, these findings might extend to other common NSAIDs, including ibuprofen and aspirin since they all have roughly the same biological mechanism. 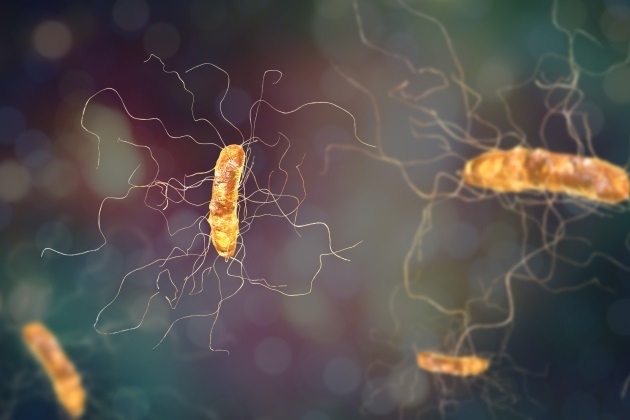 Experts agree that C. diff infections are on the rise and are becoming increasingly difficult to treat, which may encourage researchers to find new and better ways of targeting such a stubborn bacterium. According to Aronoff, although it’s too early for the results of this study to guide clinical care, the results might guide how people with C. diff are treated, particularly with pain management, as well as encourage future studies.